What is delaying the new Macroom Garda Station? By TheCork.ie on 11th September, 2018 Comments Off on What is delaying the new Macroom Garda Station? 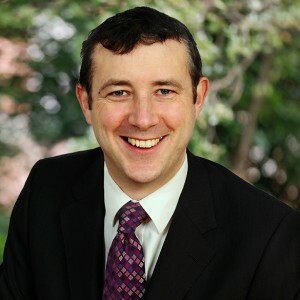 Fianna Fáil TD for Cork North West, Aindrias Moynihan has said that his motion on Macroom Garda Station which was debated and passed at today’s meeting of the Joint Policing Committee (JPC) is vitally important in ensuring that the station is built as soon as possible. Deputy Moynihan was commenting after his motion, which called for the Minister for Justice and the Minister for the Office of Public Works to set out a timeline and roadmap towards the construction of the new Garda Station in Macroom. “As we all know, the new station in the town is tied in with the construction of two other stations – Sligo town and Clonmel. We have been ready to go in Macroom for the last two years since the land was bought, but are being held up the delays in the finalising of the land acquisitions for the Sligo and Clonmel stations. “At the last JPC meeting, as well as in the Dáil, I have called for our station to be prioritised, but little to no progress has been made. We must remember that every day construction costs are rising. Construction costs are now running 17-19% higher in the time since the land was purchased, while Macroom has been left to wait for the other stations in the government bundle. “Every day adds to the costs. The purpose of using a public private partnership to deliver these three stations was to save money. I don’t see the value for money argument being made very well as a result of these delays. “The people of Macroom are fed up of promises and false dawns with regard to their Garda station. The Minister for Justice and the Minister for the OPW must give clarity on the timeline and roadmap. We cannot keep waiting for other projects to catch up,” concluded Moynihan.